BERLIN -- Skoda, the Czech carmaker rescued from the collapse of communism by Volkswagen AG, aims to grow twice as fast as its parent by becoming the next "people's car" after recent efforts to move upmarket ruffled VW. The shift to a no-frills approach diffuses tension after Skoda encroached on VW's market with the upscale Superb sedan and wagon, leading to the departure of former chief Reinhard Jung. The brand kicks off its focus on basic transportation this week with the new Citigo, Skoda's variant of the VW Up minicar. The Citigo will sell in the Czech Republic for less than $10,000. "It feels good to now have the support to become what Skoda always wanted -- an affordable brand focused on practical, solid products," Juergen Stackmann, the brand's sales chief, said in an interview at its headquarters in Mlada Boleslav. "The term 'exclusivity' is nowhere to be found at Skoda." Skoda's transformation is key to VW's plans to surpass General Motors Co., the leader in 2011, and Toyota Motor Corp. as the world's largest automaker by 2018. The collapse of VW's alliance with Suzuki Motor Corp. is raising the Czech brand's profile, positioning it as the budget alternative for emerging markets, where VW cars tend to be too expensive. Fueled by demand from first-time buyers in Russia, India and China, Skoda is projected to increase sales 84 percent to 1.41 million vehicles by 2018 from 768,000 last year, according to forecaster IHS Automotive. The growth rate is more than double the 41 percent estimated for the VW brand. Still, the projections fall short of Skoda's target of 1.5 million vehicles by 2018, reflecting the struggle to provide models to appeal to new customers at prices that will retain current drivers, said Ferdinand Dudenhoeffer, director of the Center for Automotive Research at the University of Duisburg- Essen in Germany. "Skoda needs status products for wealthy first-car buyers in China and cheap models for the rather saturated European markets," where it faces Renault's Dacia brand, Dudenhoeffer said. "They're doing the splits under difficult circumstances." Skoda is now led by Winfried Vahland, who is tipped by analysts as a potential successor to VW CEO Martin Winterkorn. Vahland, the former chief of VW's China operations, took charge of Skoda in September 2010 after Jung was pushed into retirement. Skoda's new strategy mimics VW's own rise. The German carmaker established itself by developing the affordable Beetle, the original "people's car," under a contract with the Nazis in the 1930s. The company has since moved upscale with vehicles like the 49,600-euro ($66,300) Touareg sport-utility vehicle and the 68,300-euro Phaeton luxury sedan. VW started a joint venture with Skoda in 1991, two years after the Velvet Revolution ousted Czechoslovakia's pro-Soviet regime. Since then, the brand has expanded into China and India and quadrupled sales from less than 200,000 vehicles in 1991. GM is No. 1 among the foreign-owned car companies in China. The German manufacturer paid about $1.4 billion between 1991 and 2000 to take full control of Skoda, which traces its history to 1895. The unit's operating profit surged 83 percent to 575 million euros in the first nine months of 2011. Profitability is helped by labor costs in the Czech Republic that are 73 percent lower than those in Germany, according to the Cologne-based IW economic institute. "VW brought huge technological potential to Skoda and completely overhauled the factory" in Mlada Boleslav, said Jaroslav Jelinek, head of Laureta Auto AS, a Skoda dealer based in the Czech town about 60 kilometers (37 miles) northeast of Prague. "It saved Skoda." The relationship between VW and Skoda got rocky after Skoda's Superb wagon trumped VW's equivalent Passat in a July 2008 quality survey by Germany's Auto Bild newspaper. The roomier Superb sells for 2,500 euros less than the Passat and its base price includes electric windows and heated seats, extras in the Passat. 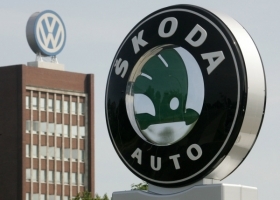 "It makes good sense for VW to focus Skoda on budget segments in eastern Europe and emerging economies," said Stefan Bratzel, director of the Center of Automotive Management at the University of Applied Sciences in Bergisch Gladbach, Germany. Customers jumping to Skoda models have been "a thorn in VW's side for a while. The new strategy should do away with this." Backed by VW's resources, Skoda aims to churn out two new models each year as part of its expansion strategy, Stackmann said in the Nov. 11 interview at the automaker's headquarters in the Czech Republic's Bohemia region. 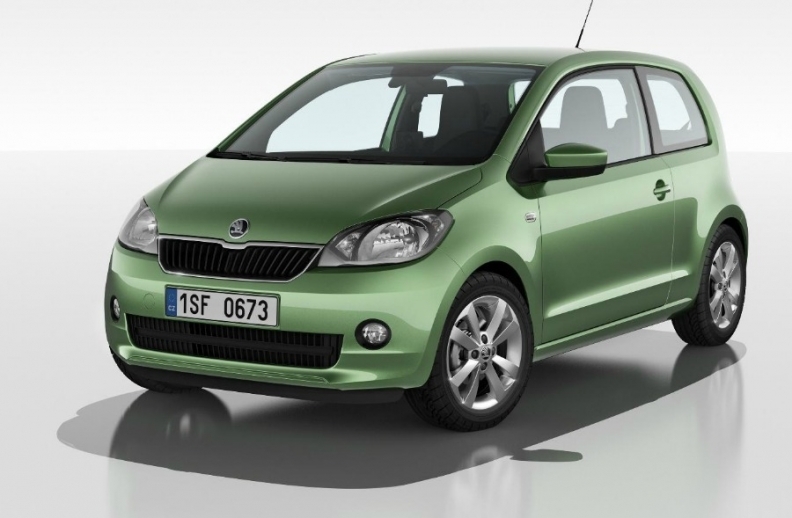 The model offensive starts with the Citigo, Skoda's smallest and cheapest model, which starts at 179,900 koruna ($9,400). A new compact sedan called Rapid will hit showrooms in India next month. The Citigo kicks off Skoda's focus on basic transportation..
Skoda will expand production of Octavia mid-sized sedans and wagons at Mlada Boleslav by 50 percent to 1,200 cars per day from next summer. Assembly of the Yeti SUV will start in Russia this year and expand to China from 2013. To support growth in China, Skoda's largest market, the brand aims to hire 20,000 sales people within five to six years, Stackmann said. To underscore its new no-frills focus, Skoda has streamlined its Web site and simplified the winged-arrow logo, removing a black band around it. The carmaker expects the strategy to help it weather the debt crisis in Europe. "Even in bad times people buy cars, but with a greater focus on what they get for their money," said Stackmann. "We're confident for next year and want to grow further."